Ram Nath Kovind was on Thursday declared elected as India’s 14th President polling 65.6% of the vote defeating the Opposition’s joint candidate, former Lok Sabha Speaker Meira Kumar, who secured 34% of the vote. 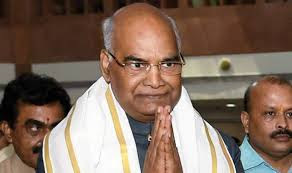 Mr. Kovind will be the second Dalit President of India after late President K.R. Narayanan but, more significantly, the first from politically significant Uttar Pradesh and the first person from the BJP to hold the office of President since Independence. The value of each vote of an MP was 708. Among the States, each vote in Uttar Pradesh had the highest value of 208, while each vote from Sikkim had the lowest value of seven. Mr. Kovind got the highest number of votes – 335 – from U.P. and the lowest – just 1 – from Kerala. Ms. Kumar secured the highest number of votes – 273 – from West Bengal and drew a blank in Andhra Pradesh. Finance Minister Arun Jaitley will launch a pension scheme for elderly with 8 per cent fixed rate of interest on their savings today. It can be purchased offline as well as online through Life Insurance Corporation (LIC) of India which has been given the sole privilege to operate this scheme, the finance ministry said in a statement on Thursday. Pradhan Mantri Vaya Vandana Yojana (PMVVY) is a pension scheme announced by the government exclusively for the senior citizens aged 60 years and above which is available from May 4, 2017 to May 3, 2018. 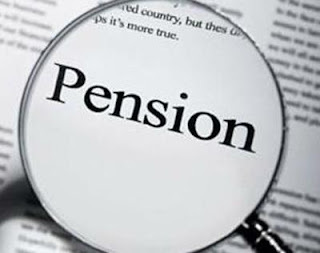 Pension is payable at the end of each period, during the policy term of 10 years, as per the frequency of monthly, quarterly, half-yearly, yearly as chosen by the pensioner at the time of purchase, it said. The scheme is exempted from Goods and Services Tax, adding, loan up to 75 per cent of purchase price shall be allowed after 3 policy years to meet the liquidity needs. On death of the pensioner during the policy term of 10 years, the purchase price will be paid to the beneficiary. 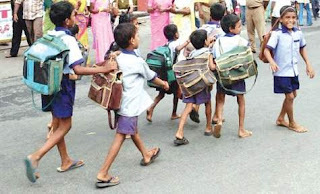 Telangana government has capped the weight of their school bags between 1.5 kg and 5 kg. It has also barred schools from assigning homework to students of primary grades -- I to V.
According to the Government Order (GO) issued yesterday, the maximum weight of a school bag with textbooks and notebooks should not exceed 1.5 kg for Class I and II and 2 to 3 kg for Classes III to V.
Project BharatNet, the Union Cabinet is learnt to have cleared the proposal for the second phase of the project, under which 1,50,000 gram panchayats would be connected with optic fibre cable (OFC), according to a top government official. In the first phase of the project, 1,00,000 gram panchayats were connected as of end March, albeit two years after it was originally intended to. The original target set by the government for laying down OFC in 1 lakh gram panchayats was March 2015, but was later advanced to March 2017. 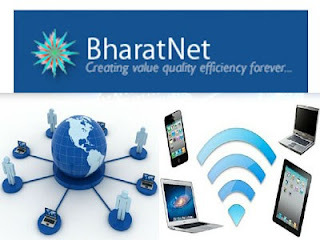 The approval entails a total estimated expenditure of Rs 42,068 crore for the implementation of BharatNet, which will be funded from Universal Service Obligation Fund (USOF). Out of this amount, Rs 11,148 crore is the cost of providing connectivity to 1,00,000 gram panchayats in phase-I and Rs 18,792 crore is for providing connectivity to remaining 1,50,000 gram panchayats in phase-II. The Lok Sabha passed the IIIT Public Private Partnership Bill 2017. The Bill provides to establish 20 IIITs under Public Private Partnership mode across the country and authorise them to award degrees to the students. The Bill intends to address the challenges faced by the Indian information technology industry and growth of the domestic information technology market. It includes developing new knowledge in information technology, providing manpower of global standards and ensuring autonomy in governance. At present, there are fifteen functional Indian Institutes of Information Technology in public-private partnership mode, which are proposed to be declared as Institutes of national importance under the Bill. Proposals for climate adaptation projects submitted by Rajasthan, Gujarat and Sikkim have been approved by the Union Ministry of Environment, Forests and Climate Change. The three projects approved by the National Steering Committee on Climate Change will receive funds under the National Adaptation Fund for Climate Change (NAFCC). 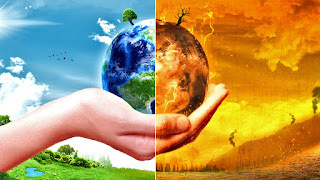 Current projects address a range of climate change vulnerabilities in the states, which are not addressed under the ongoing schemes of the Central and State governments, a statement from the Ministry said. The projects in Rajasthan and Sikkim are targeted at water security, while in Gujarat, the project will focus on increasing the adaptive capacity of communities dependent on natural resources in the Kachchh district, the official statement said. With India being a signatory to the UN Paris climate change deal, the country is looking to step up work on climate change mitigation as well as adaptation to fulfil the targets under the National Action Plan on Climate Change. Under this, individual state governments are expected to develop State Action Plans on Climate Change, and propose projects — especially in climate sensitive sectors such as agriculture, water, forests, and others — which will receive financial support form the NAFCC. It is estimated that the Ministry has approved 21 projects worth about ₹435.72 crore in the last two years. 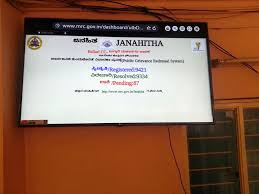 Telangana Government launched a portal “Janahitha” grievance Redressal system. The program is aimed for the public to submit their complaints online smoothly and get speedy redressal. The public can also apply for various welfare schemes through the facility. The complaint redressal process would be monitored by officials at the district headquarters and Secretariat in Hyderabad. In a major upgrade to its defences, the Indian Army has signed a MoU with the Defence Research and Development Organisation (DRDO) to raise one regiment of the advanced Medium Range Surface to Air Missiles (MRSAM). The army plans to have a total of five regiments of this air defence system, which will be deployed opposite to China and Pakistan. The MRSAM marks a paradigm shift in the capabilities of the Indian Army. The system can shoot down enemy ballistic missiles, aircraft, helicopters, drones, surveillance aircraft and Airborne Warning and Control System (AWACS) aircraft. Meant for the Army Air Defence, the MRSAM is an advanced, all weather, mobile, land-based air defence system. It is capable of engaging multiple aerial targets at ranges of more than 50 km. Each MRSAM system comprises a command-and-control system, a tracking radar, missiles, and mobile launchers. The landmark India-Japan civil nuclear agreement came into force. Foreign Secretary S. Jaishankar exchanged the diplomatic notes with the Japanese envoy to India to formalise the completion of the process. The pact was signed in Tokyo during the visit of Prime Minister Narendra Modi to Japan on November 11, 2016. 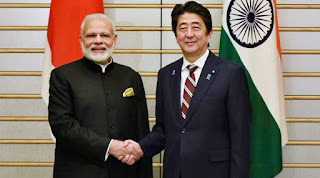 The deal is essential for bringing a network of nuclear energy cooperation for India, especially with the U.S. as prominent American nuclear companies are owned by the Japanese nuclear majors like Toshiba. Australia’s foreign minister Julie Bishop has signed the framework agreement to join the International Solar Alliance (ISA). 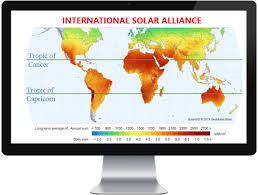 The Alliance, spearheaded by India and France, seeks to promote solar adoption, skill sharing and best practice for nations situtated mainly between the tropics, driven by the Paris Agreement. Australia has now joined 34 other countries by signing the framework agreement. The Australian prime minister first announced his nation’s intentions of joining the alliance in April. In one of the first tangible actions of the ISA in May, several countries agreed to support commissioning of a study on a common risk mitigation mechanism (CRMM) for PV generation. The initiative was launched by Modi at the India Africa Summit, and a meeting of member countries ahead of the 2015 United Nations Climate Change Conference in Paris in November 2015. The Framework Agreement of the International Solar Alliance opened for signatures in Marrakech, Morocco in November 2016, and 121 countries have joined. 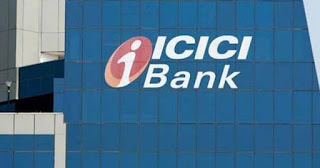 ICICI Bank has launched a facility whereby its existing salaried customers can avail personal loans at ATMs. These customers can get pre-qualified personal loans up to 15 lakhs in their savings account instantly. In a statement, the country's largest private sector bank by consolidated assets, said the facility offers a bouquet of features - swift application in simple steps, multiple eligible loan amount options up to Rs. 15 lakh based on pre-checked CIBIL scores and instant transfer of the money to the customer’s account. The facility also incorporates an additional level of authentication to make the security of the offering robust. Through this offering, a customer can get personal loans of upto Rs. 15 lakh for a fixed tenure of 60 months. On completion of a transaction for balance enquiry or cash withdrawal, customers will be shown the option of availing the loan (at ICICI Bank ATM). 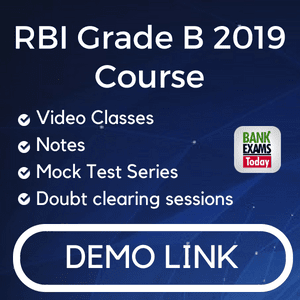 Customers can avail this loan at any ICICI Bank ATM in four steps -- select the required pre-approved loan offer; multiple amounts may be shown depending on the customer’s eligibility; accept the auto populated interest rate, processing fee and EMI (Equated Monthly Installment) amount; confirm on the terms and conditions displayed. Lastly, enter debit card PIN. The money will get transferred to the customer's account instantly on completion of this procedure. Customers can also avail personal loans from the Bank’s website, iMobile – its mobile banking application as well as its branches. The Cabinet approved sale of government's 51.11 percent stake in oil refiner HPCL to India's largest oil producer ONGC for a potential Rs 26,000 crore to Rs 30,000 crore, a top source said. 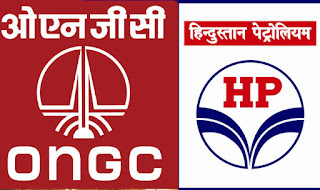 While ONGC buying HPCL will help the government meet as much as 40 percent of its target for raising Rs 72,500 crore in the current fiscal through stake sales, more deals in the oil sector including one where refiner Indian Oil Corp (IOC) buys out explorer Oil India Ltd or Bharat Petroleum Corp Ltd (BPCL) merges with gas utility GAIL may be in the offing. HPCL will become a subsidiary of ONGC and will remain a listed company post the acquisition, he said adding the board of the refining and marketing company will continue to remain in place. 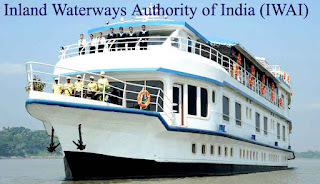 The Union Cabinet gave its nod to Inland Waterways Authority of India (IWAI) for raising Rs. 660 crore in bonds for extra budgetary resources in 2017-18. Funds received through issue of bonds will be used exclusively for capital expenditure to improve infrastructure funding. The IWAI mayget Rs. 857 crore in loan from World Bank for its Jal Marg Vikas Project. Yeh Hai Mohabbatein fame, Divyanka Tripathi has added another feather in her cap. Divyanka has been honoured with the Most Admired Leader in the field of entertainment by Herald Global and has also been listed in the 50 Most Inspirational Women list. Terrence has also received the honour of being listed in 50 admired leaders of the country for his work in dance education. Veteran BJP leader L.K. Advani received the Lifetime Achievement Award for his contributions as a parliamentarian in the Lok Sabha. 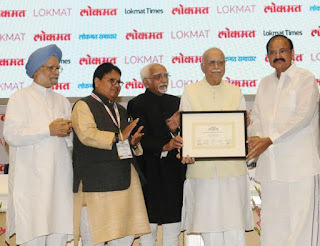 JD-U leader Sharad Yadav also received the Lifetime Achievement Award as a Rajya Sabha representative from Vice President Hamid Ansari at a function organised by the Lokmat Media Group to honour distinguished Lok Sabha and Rajya Sabha members. The other awardees from the Lok Sabha included Revolutionary Socialist Party MP N.K. Premachandran (Best Parliamentarian), Congress leader Kumari Sushmita Dev (Best Woman Parliamentarian) and BJP leader Meenakshi Lekhi (Best Debut Woman Parliamentarian). The awardees from the Rajya Sabha included CPI-M leader Sitaram Yechury (Best Parliamentarian), Samajwadi Party MP Jaya Bachchan (Best Woman Parliamentarian) and Congress MP Rajni Patil (Best Debut Woman Parliamentarian). 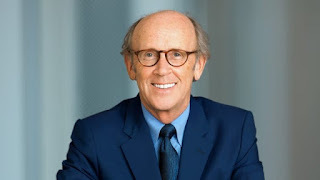 Lord Davies is set to replace The Rt Hon Patricia Hewitt as Chair of the UK India Business Council (UKIBC). He will take up this role from 1st September 2017, initially to serve a three-year term. Patricia Hewitt will be stepping down after 8 years in the role. The organisation works with businesses in both countries, as well as the UK and Indian governments, to promote and increase bilateral trade. The UK India Business Council supports UK businesses with the insights, networks, policy advocacy, services, and facilities needed to succeed in India. 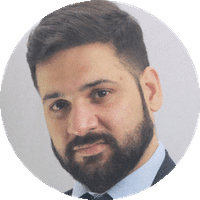 They help UK companies achieve success whether they are well-established in India or in the early stages of their engagement. Tamil film actor Kamal Haasan has been appointed brand icon of Pro Kabaddi League franchise Tamil Thalaivas, co-owned by India batting legend Sachin Tendulkar. 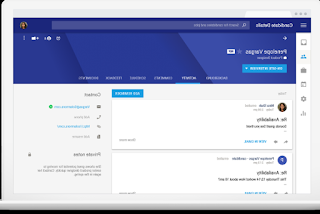 Google officially released a new tool named 'Hire' to help small and medium sized businesses recruit talent, on Wednesday. The service is built on G Suite and will allow employers to track candidates' contact information, resume details and calendar invites. It will allow business partners to share feedback within the candidate's profile. Hire has been rolled out only for US-based business with less than 1,000 employees. Google had unveiled Hire during its annual Google I/O developer conference in San Francisco, in May.